So, how do you train for an ultra marathon? You're thinking about doing one. Or you've (gulp) signed up for your first. Now how do you make it happen? 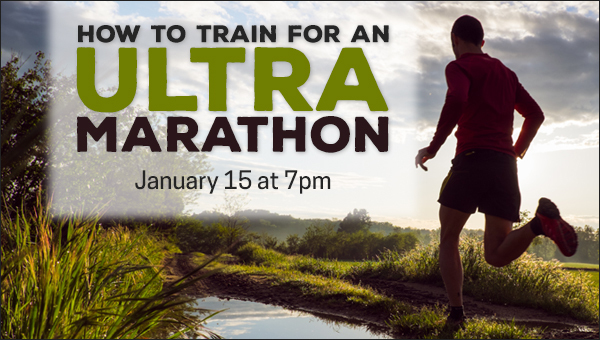 Come to our How to Train for an Ultra Marathon seminar hosted by 5-time Western States 100-Mile Endurance Run finisher and Fleet Feet Sacramento Trail Coach, Maureen (Mo) Bartley. Mo will talk all about how to train for an ultra, what to expect in your training and how to get the most out of your training program. RSVP below and we will save you a seat. Don't forget to check out our Ultra Running Nutrition Seminar (January 29) and Ultra Running Race Prep Seminar (February 19). ﻿Thursday, January 15 at 7 p.m.